At SpringsTaxpayers.com, we have been asked over the past month about our position on the collective bargaining ballot issue for Colorado Springs Firefighters. To be clear, we appreciate those who serve us. 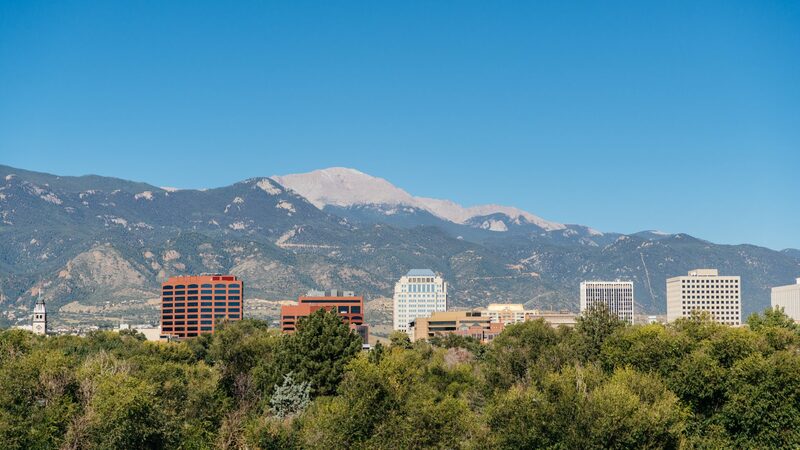 We also believe public safety should be the highest priority for Colorado Springs City government. Colorado Springs Firefighters are top-notch men and women —a caring group of professionals who serve us when we are at our most vulnerable. We feel genuinegoodwill toward our firefighters. But, goodwill can’t rule the day. What will collective bargaining for the Colorado Springs Firefighters signify? It will mean our firefighters will have their union negotiate with the City Government on their behalf. Will the taxpayers be the winners in negotiations? Probably not. Over the next few weeks, Colorado Springs voters will weigh in, for or against, collective bargaining for the Colorado Springs Fire Department (CSFD). Here is the entire ballot, including ballot language for Issue 1. Chief Collas also said that there will be 2 academies in 2019 that will add 36 firefighters to the department. This will bring CSFD’s sworn staff to 463 —the highest personnel number in the history of the department. His full comments are at the end of this blog. From Chief Collas’ email, indications are that the CSFD is receiving exactly what they require with regards to financial compensation, as well as staffing. The Firefighters’ Association representative admits that they have a seat at the table, and the current administration works to get their needs addressed. The Firefighters Association has said they are worried, though, about what may happen years down the road under a different administration. We believe that, “What if?” is not enough justification for approval of this ballot measure. Why did they go to the trouble and expense to get this on the ballot for something that “MAY” happen in the distant future? Our current Mayor is listening to the firefighters. They have his ear. He’s working with them! If there is a reason to do so in the future, the Firefighters’ Association should come back and sound the alarm. Because this ballot measure is a false alarm, at SpringsTaxperyers.com, we oppose it. To: Dubay, Steven E.; ROYAL, Randolph N; Lacey, Brett; Conklin, Beth; Hines, Angela T.
The state of the CSFD is strong. Going into 2019 we are in great position, our staffing numbers continue to grow, as do the number of paramedics. We have adjusted the prerequisites for Driver Engineer and Lieutenant, which will allow more of our employees to test for promotional opportunities. Along with that, last year with the help of the Promotional Process Committee, we were able to begin accepting 60 accredited hours as a prerequisite for the Lieutenant’s test, again enabling some of our employees to advance in their careers. We have just added three brand new Pierce pumpers to our fleet. This is in addition to two engines and a truck from Rosenbauer in 2017, and we are on track to order four engines and one truck in 2019. Much of the credit for this goes to the members of the Apparatus Committee. They have been very discerning about how and where they spend the vehicle replacement budget, and we are all benefiting from their great work. Besides the heavy apparatus I just mentioned, in the past few years we have replaced ____ brush trucks, ____ squads, and ____ light vehicles, and in the second quarter of the year we are looking at taking possession of a new Wildland Type 3 engine. IT is one of those issues that troubles most of us from time to time, but we have made tremendous strides in updating outdated software. Beginning in 2019 we will be upgrading our Learning Management System to a product called Target Solutions. Target Solutions is used by more than 600 fire departments across the nation, it will replace CTS and will offer us the ability to share content and classes with all of our CMCB partners. Another upgrade we are anticipating is related to the Staffing Program. Our partners with CSPD have graciously agreed to include us as they seek to improve their staffing capabilities. We don’t yet know exactly what this might cost, or whether or not we will be able to afford it, but we are very grateful for the opportunity the CSPD has made available to us. Operations, the Division of the Fire Marshal, and the Medical Division all teamed up with other City agencies including the Office of Emergency Management to support the US Senior Open at the Broadmoor Hotel. This event was a great success, with very few issues, all the result of excellent planning. Finally, and most importantly, we will be going out for RFP to replace our FIS report systems. The new solution, which has not been named yet, will have to replace Fire, Medical, and Hazmat report writing, and have inspection program capabilities as well. All of the programs being replaced were built in house over 20 years ago. When they were made they were as good as they come, but technology has advanced so far in the past two decades that upgrades are essential in order to do properly do business. This year I saw the largest pay package I’ve seen in over thirty-tree years of service to the City. And, along with that, there was a very nominal increase to employee benefits. The Mayor and his staff have done their best to live up to the commitment they made in 2017, to bring us to market in two years. Non-sworn employees have also been presented with a pay package that exceeds what was available last year. All of this to say that while I am extremely grateful, there is still work to be done on the rank of Battalion Chief, and I will continue to work with the Mayor and City Human Resources to appropriately compensate all ranks and positions. We are facing a new chapter for the CSFD as we anticipate merging the Cimarron Hills Fire Department into our operation. This will provide big raises and more career opportunities for the Cimarron firefighters, create more promotional opportunities for CSFD employees, and better serve the residents of the Cimarron Hills neighborhood. We will also add to our inspector staff and provide administrative support to the Medical Division. Our department is currently looking at the possibility of donating our old TnT tools. These tools have been replaced by newer, more powerful tools purchased under grant funding, but the old tools still have life in them, and will greatly enhance the capabilities of smaller departments in our County that don’t have any extrication capabilities. The CSFD is also looking into the development of a tiered response system. There are a lot of moving parts with this issue, a lot of funding concerns, and implications to the entire EMS system in the City. But, I firmly believe that tiered response is in our future, and it will enable us to prepare for population growth projections. In 2019 we will be reinstituting the Annual Fitness Assessments. These are non-punitive, but participation of sworn personnel is required. The assessment will provide each employee a confidential road map of their fitness that they can follow from year to year. We are still looking at building a fire station at the FDC. I can’t say when construction will begin, but we won’t rest until we provide our S8 crews with better quarters, and remodel the current bay area into the classroom/conference room space we need. We are also looking at expanding S8 into an engine company within the next two years. The CSFD is planning on two academies in 2019, the first will begin in February and will have 24 people in it. The second academy will start in July, and have up to 12 in it. These two academies will get us to our highest personnel numbers in the history of our department. Our sworn staff will be 463, this number includes 12 positions for Cimarron Hills. A lot is going on here on the CSFD. We are busy, in operations answering 70,000 incidents, our non-sworn personnel are also working hard to try to keep pace with the growth our City is experiencing. Sworn staff in Training and the Medical Divisions are working hard to provide timely, appropriate, and necessary training and assessments of all personnel. We are a busy department; across the board, all workgroups, stations, and divisions. We not only do a lot, we do it very, very well. Our citizens are lucky to have you doing the work that you do, and caring about their quality of life. I hope that all of you know that your work makes a difference. Either directly or indirectly, you solve problems for our citizens each and every day, making lives better is important work, and that is the work of the CSFD. Accountability, Courage, Honor, Professionalism, and Service, these are our Core Values. Live them out in your day to day work, our City is a better and safer place because of each of you. I’m Ted Collas, your Fire Chief, aloha!